Recently having moved to back to the US from Korea and hot on the job search, I was buzzing around all the different tech meetups that I could in my area. The majority that I went to were in Grand Rapids, about an hour away from my hometown. From the first meetup, I started spreading Django and Python love. I eventually found my place in the Python meetup. 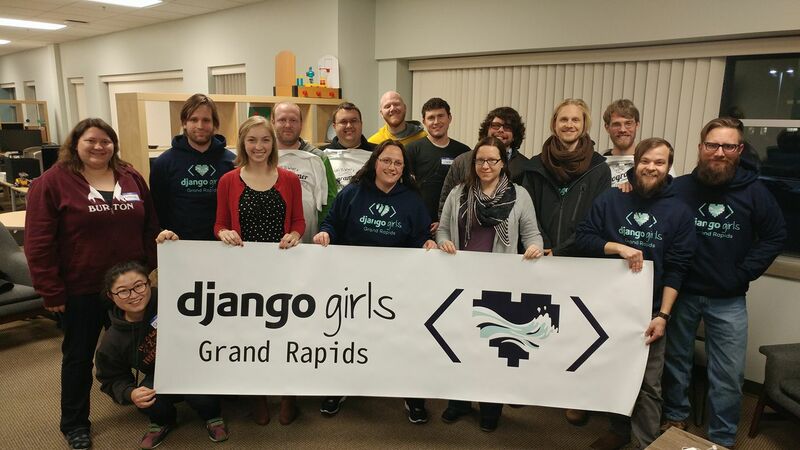 I moved to Grand Rapids for a job and decided it was time to bring a Django Girls workshop to GR. 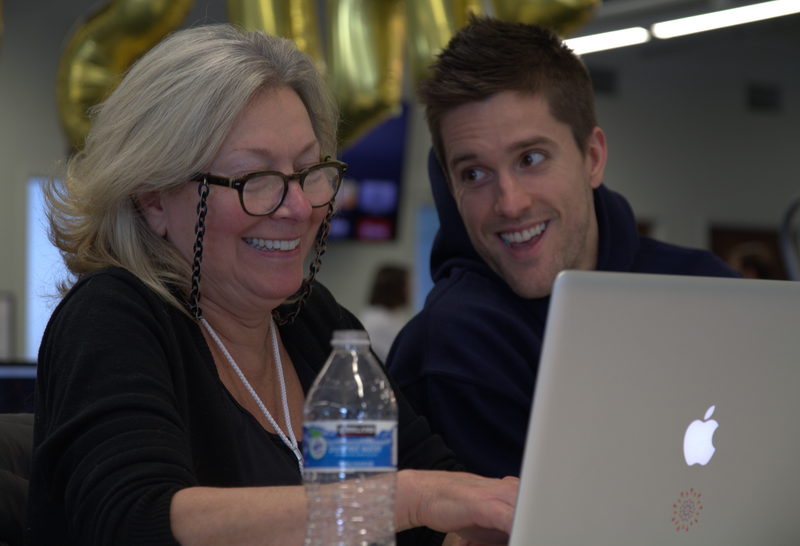 At a hackathon event, GiveCamp, I met some really django-girls-esque type people and we clicked instantly. We later went on to become the organizers of Django Girls GR. There were five organizers and each brought something equally important to the group. 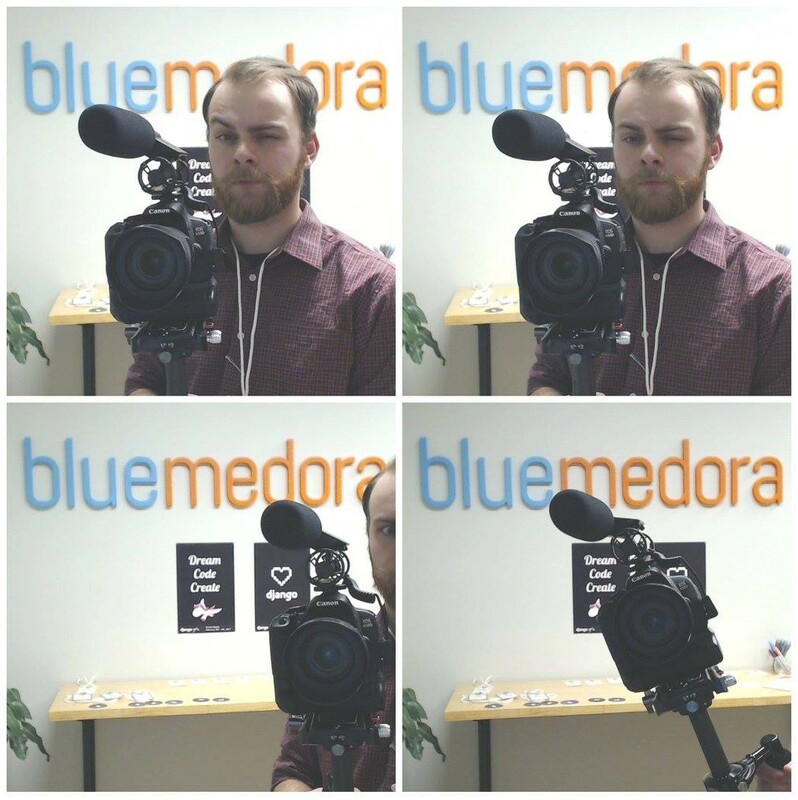 Dan Lindeman used his work connections to get us a venue as his company, Blue Medora, along with a hefty sponsorship from them to cover food. Jace Browning knows just about everyone, or at least the organizers of, the different tech meetups around town, so he was in charge of recruiting, managing, and training the coaches. Josh Yuhas has done so many events in town that he knew exactly how to get the word out and where to get the best swag around. 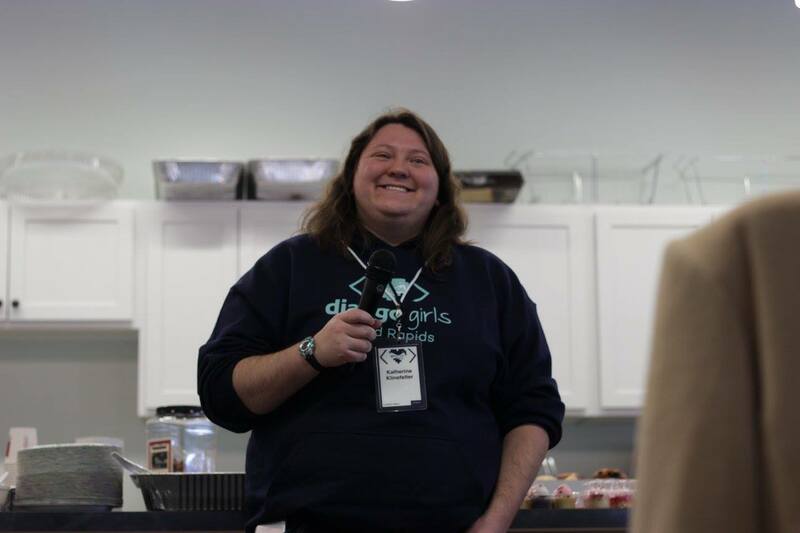 I brought my experience with my past Django events, energy, enthusiasm and that ‘something different’ that makes Django Girls events, not like any other tech event (some would say the clappers, more on that later!). I was also in charge of decorations, website setup, and communications. The first thing we focused on, after the venue and date, were coaches. 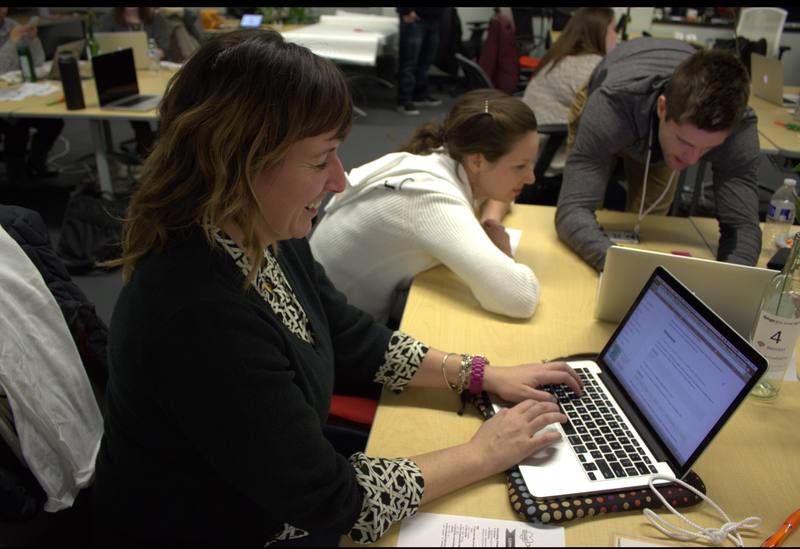 It would be impossible to have a Django GIrls event without coaches! All of the organizers reached out to people they knew to get a group of 12 top-notch coaches for our event. Because most of the coaches were familiar with Slack, we opened up a Slack team for our city with a coach's channel. Before the event, we always like to have a coaches meeting. This gives everyone a chance to meet and get to know each other, go over some typical problems participants run into while doing the tutorial, discuss coaching tips, and go over the COC. Maybe most importantly, it sets the tone for the workshop. The coaches meeting was great. Some coaches brought up good questions and concerns but by the end I think everyone felt good about what to expect at the workshop. For our workshop we decided to refer our ‘participants/attendees’ as programmers to empower them and to be more comfortable self identifying as a programmer. We had more people apply than we could accept because of the space limitations. The age range of the programmers was 18 - 60 years old, with varying levels of experience. We accepted 40 but we had 4 last minute no-shows. After the team of organizers got together, we decided to have a 2 day workshop. Friday February 3rd was an installation day from 6pm - 9pm so that Saturday’s focus was on the tutorial from 9am - 5pm. There were 40 participants that signed up but only 36 actually came for both days. Jace and I helped organize the teams by experience level and operating system so there were 3 programmers and one coach per team. Jace and Dan doubled as meta-coaches and floated around to help other programmers or coaches if they got stuck. We also had a few organizers roaming the venue to make sure everything was going smoothly. Branding is important for a group to be seen as a real organization, be memorable and get their message across. I think we can agree that the most important reason would be stickers!! Luckily, Josh Yuhas knew a great designer, Alysha Lach of Little Space Studio. She loved our cause and wanted to jump on board as a sponsor for the logos and designs. 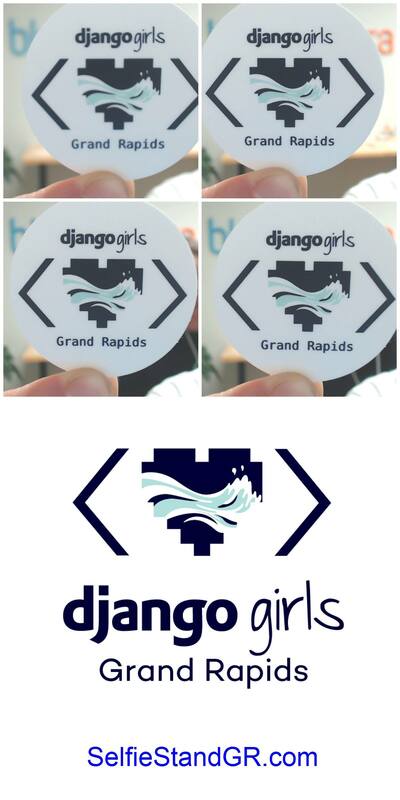 Since we are in Grand Rapids, we wanted something to reflect Django Girls, but also make it a little unique to our city. After meeting with Alysha and brainstorming, we came up with a great logo of a pixelated heart with rapids going through. The pixelated heart can be seen all over Django events, but the water going through represents not only the rapids of the Grand River, but also the fluidity of labels in programming experience, community, and knowledge. Dan helped me choose decorations because he had a better idea of the space. We got the traditional big gold ‘Django Girls’ balloons to hang from the ceiling. 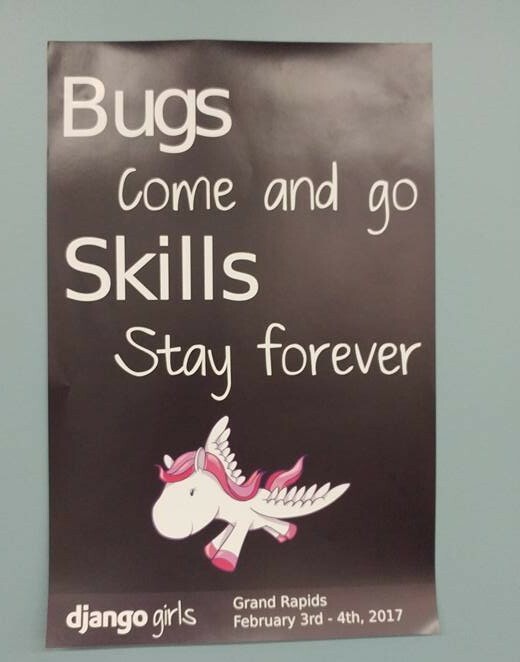 We customized some of the encouraging posters from the Django Girls Resources repo and hung them around the room. We had a big banner at the front as a backdrop. People really enjoyed the white paper covering the tables, which was great for some quick notes, doodles or tictactoe games. Wine bottles served both as nice vases with flowers for centerpieces, but also as table numbers with wifi information for easy access. Josh got in touch with some local companies to get custom hoodies for the coaches, and t-shirts and tote bags for everyone. We also had plenty of stickers floating around throughout the event. While at another tech event, I had some amazing mediterranean food so I recommended having that for our event. It was a hit! 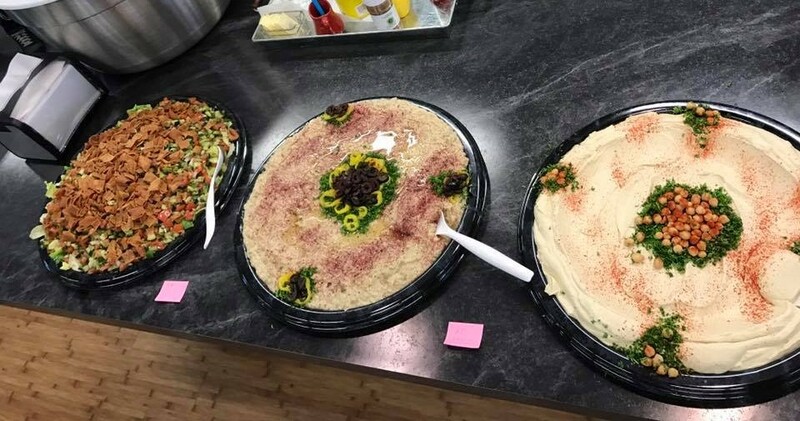 Pita House catered a great lunch with vegan and gluten free options. Because of our Costco run a day before, we also had snacks and drinks throughout the duration of the event. We even had some left-overs, which we decided to leave for Blue Medora staff as a ‘thank you’. We had two sponsor speakers: Craig Labenz who was also a coach, that was representing Zapier, and Anna Chiara Bellini representing Toptal. These were two of our biggest sponsors and we were happy to hear from them. Craig’s speech was short and his message was to the point. The programmers enjoyed hearing tips for entry level interviews for tech jobs and I think they walked away feeling more empowered because of it. Anna talked about both her struggles and successes as a programmer and her position now at Toptal. She let the programmers know that they have allies and there are companies that want to hire them. At the coaches meeting I heard from two of our female coaches, Bekah Suttner and Katherine Klinefelter, and I was inspired by their stories of their journey into tech. I asked Dan to encourage them to give a short talk about their experience into tech. The programmers got to hear two different paths that were equally inspiring. The small things make a huge difference! The language we use, accounting for different dietary needs, fully stocked toiletries baskets in all restrooms, assigning a quiet room for when you need to get away, creating a hangout area for a break with chatting and games, flowers as centerpieces, and celebrating small victories together with clappers are some examples of what sets us apart of just another tech event. I have to mention a huge thank you to the organizers and coaches, but also the staff at Blue Medora for hurrying to set up for our event and rearranging their workspace. 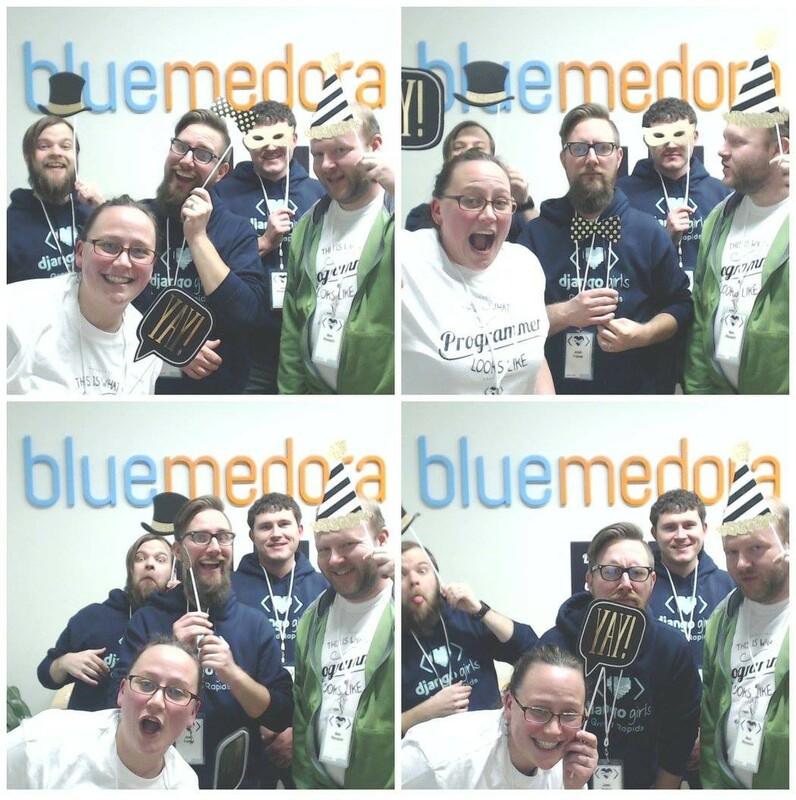 Casey Dubois was a huge help with the food and this cool photo-booth that we ended up using as an icebreaker. I also want to thank Justin Stoneburner who offered his company, Stoneburner Video’s photo and video services as a sponsor. He was great to work with and got some nice shots. After the event, we invited all volunteers out for a dinner to say thank you, but unbeknownst to them our plan was really to cultivate relationships and plan for future events! It was a well deserved celebration of an awesome event. After the event, there was a lot of interest in continuing this group so we set up an account on meetup and are planning smaller study meetups. I sent out feedback forms after the event and received thoughtful responses that we will take into account for future events. [My coach] was kind and encouraging. My coach] let me figure things out myself but guided me through problem solving as issues arose. He was very laid back and open to questions. Our coach was great! He was always helpful and checked in frequently to see how we were doing. The coach did a great job of troubleshooting issues. Also did a great job of answering my behind-the-scenes questions of how Django worked. [My coach] was SUPER great! He took the time to create myriad analogies for me to get my bearings every step of the way. He also showed genuine enthusiasm every time I made headway and figured something out. [My coach] was very helpful and clear, quick to go seek out other coaches when the question was beyond her knowledge base. [My coach] was amazing, and so knowledgable! she was also very patient and willing to answer any question. I think I learned a lot and will finish the tutorial on my own! I liked it a lot more than I expected. I'm excited to review the concepts I learned to snaz up my blog and to start a project. I was just looking for a base knowledge, which I feel that I achieved. Thank you so much for all your work on putting this together! I never knew I had it in me and I'm excited to move forward! First, thank you so much for this opportunity! I was really excited to be able to take part in this event. I loved the welcoming and inclusive atmosphere and all the communication prior to the event was GREAT! … Thanks so much to the organizers, sponsors, coaches, participants, host, and everyone involved! Also, the food was amazeballs! THANK YOU! I was hesitant to attend because I didn't know what to expect, but I have been raving about this event to everyone who will listen now. from my team members, to coaches, to event organizers everyone was friendly, helpful, supportive, and full of knowledge. I have more to learn about programming, but I feel like I fell into a community of resources that'll help me along should I choose to pursue the field. I would happily recommend this event to anyone and everyone. it was absolutely stellar, which is even more impressive given that it was completely free. thank you to everyone who put the event together! One programmer had a hurt ankle and could barely walk, but she was so determined to participate and not miss this chance that she made it out anyway. During the event 6 different programmers came up to me to thank us for helping organize such a great event and that they felt so welcomed there. I also got a thank you for the welcoming language used in the pre-event email - language does matter! One person came up to me pleasantly surprised that we had a toiletries basket with the same things in both the mens and womens bathroom - being inclusive makes everyone feel more welcome! After the event, one of the coaches took me aside to thank me for making this event happen, that we need this kind of space in Grand Rapids.